2. 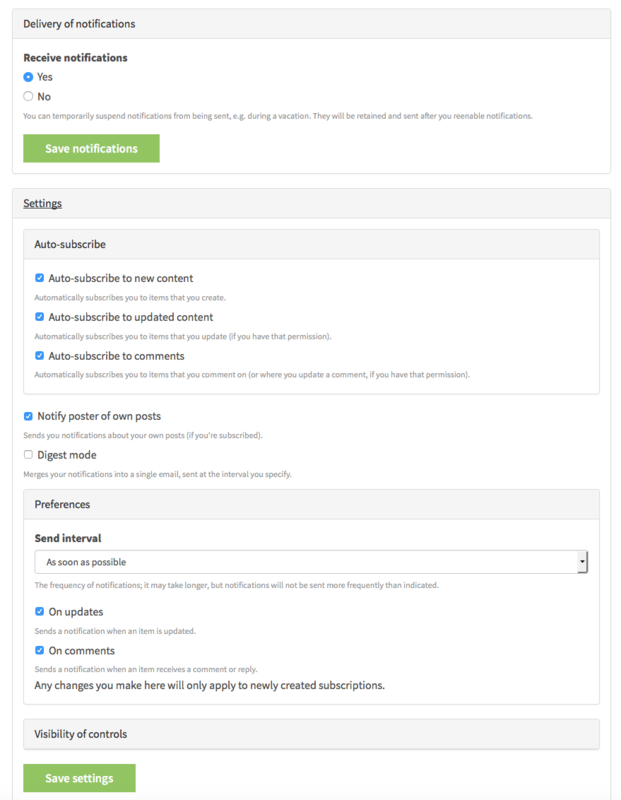 The ability to selectively subscribe to email notification for content by Tag. At the top of the "Browse by Tag" page there is a new link to Subscribe with Email. 3. Made RSS feeds available for content based on Tag and based on Group. At the top of the "Browse by Tag" and "Browse by Group" pages you will see the RSS link. 4. The ability to subscribe/unsubscribe to individual posts. This is done with the Subscribe/Unsubscribe link that appears on the post listing as well as the post detail page for both Questions and Articles. Where can I find "Settings and Preferences" in Subscriptions tab under My Account? Missed that part. Thank you. Thanks Ben. Yes, maybe I should make that more clear. I'm trying to get these published since the updates will be done very early tomorrow (Cambridge MA) time. So there is no title or description of this feed. Also is there a feed for all content posted to this site, so not filtered by tag/group at all? This prevents Thunderbird's RSS reader from viewing the feed as valid. Thunderbird requires a title and description to be a valid RSS feed.